Maryland regulators have unveiled new rules regulating assisted-living facilities that provide care to the state’s elderly frail residents. The new rules help to strengthen protection over Massachusetts’ most vulnerable aging population. The regulations help to expand training and education of facility workers. This includes training on emergency evacuation, medicine and equipment when extreme weather conditions threaten the facility. However, regulators did not fully embrace all requested provisions including one that would have banned assisted living homes from accepting any patient if they require skilled nursing care for at least 91 consecutive days. This provision would regulate situations when aging residents with declining health choose to stay at the assisted-living facility instead of moving into a nursing home for better quality care because of the costs savings. Unfortunately, apartment-like facilities are loosely regulated, often allowing the aging population to grow progressively frail without necessary care. Approximately 14,000 elderly individuals in Massachusetts reside in 225 assisted living facilities. Advocates for the elderly have lobbied to have the rules and regulations updated, with the hope that the guidelines used to protect residents can keep pace with current national elderly protection trends. 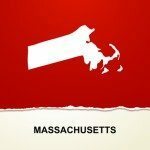 The Massachusetts assisted living law was first initiated in 1994. The law prohibited residents in frail condition who require long-term skilled nursing care to stay in the assisted living facility. However, the state avoided taking the last step of enforcing the law. Today, many residents in need of skilled nursing are allowed to remain in their assisted living facility and be provided care by private nurses. The Executive Office of Elders Affairs added the new prohibition to proposed new regulations. However, industry leaders were infuriated by the action and pushed back saying any enforcement of the rule could be traumatizing on frail seniors, and likely require assisted living administrators to evict any resident requiring nursing care. While the industry attempts to strike the ideal balance between a safe resident environment and the resident’s independence, choices and dignity, many elders become the victim of abuse. Many lawyers specializing in elder abuse cases believe insufficient staffing and training are the leading factors of abuse at assisted living facilities. New regulations mandate a requirement for additional education to minimize the potential of victimization. These regulations include recognizing and reporting any abuse on an elderly victim along with techniques and protocols for calling in managing aggressive behavior, often encountered when providing care to dementia patients. Maltreatment of the elderly is a horrendous crime when caregivers, medical staff, family members or other residents cause the senior bodily harm, impairment, pain or injury. Statistics maintained by the NCPEA (National Committee for the Prevention of Elder Abuse) indicate that perpetrators causing physical abuse to elders tend to be unemployed, unmarried, or living in the same residence with the elderly patient. Many forms of abuse are difficult to detect. Unfortunately, the challenges to identify abuse and neglect can cause ongoing a repeated maltreatment that goes unnoticed for months or years. The physical signs of abuse typically include unusual bleeding or bruising, an open wound, abrasion, burn, poor hygiene, decubitus ulcers, soiling, infection, loss of hair, or bloody bedding/clothing. However, the more difficult signs of abuse and neglect involve residents that are unresponsive, listless, or emotionally/physically withdrawn. To ensure a loved one living in a facility is protected, family and friends must visit the nursing home at an unexpected time during regular visiting hours. If any staff member refuses access, it may be an indicator that the facility is hiding something. When this occurs, it is essential to make a formal complaint with the management, file a complaint with appropriate state or federal agencies or contact a personal injury attorney who specializes in nursing home abuse cases. Immediate legal action can stop the abuse now and provide the resident access to quality medical care to ensure they heal from the injuries sustained through negligence or abuse.